Jonathan Earle and Diane Mutti Burke, eds. Long before the first shot of the Civil War was fired at Fort Sumter, violence had already erupted along the Missouri-Kansas border—a recurring cycle of robbery, arson, torture, murder, and revenge. This multifaceted study brings together fifteen scholars to expand our understanding of this vitally important region, the violence that besieged it, and its overall impact on the Civil War. —Kenneth Winkle, author of Lincoln738217;s Citadel: The Civil War in Washington, D.C. 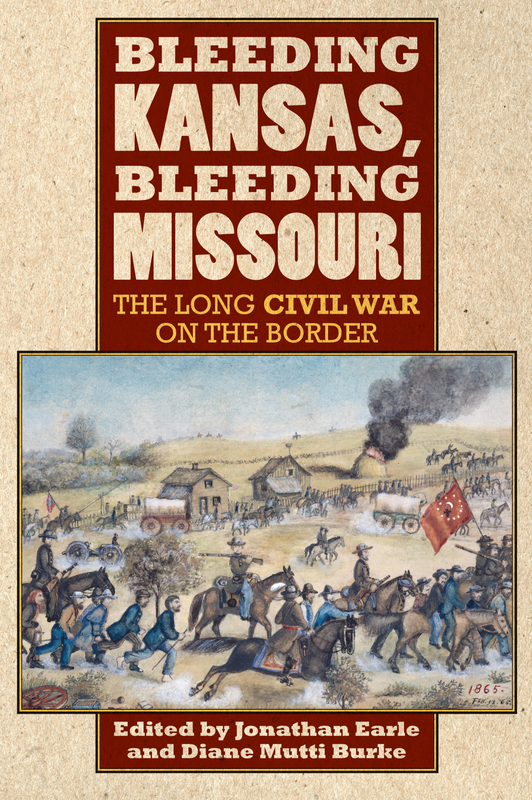 Bleeding Kansas, Bleeding Missouri blends political, military, social, and intellectual history to explain why the regions divisiveness was so bitter and persisted for so long. Providing a more nuanced understanding of the conflict, it defines both what united and divided the men and women who lived there and how various political disagreements ultimately disintegrated into violence. By focusing on contested definitions of liberty, citizenship, and freedom, it also explores how civil societies break down and how they are reconstructed when the conflict ends. The contributors examine this key chapter in American history in all of its complexity. Essays on Slavery and Politics of Law and Order along the Border examine how the border region was transformed by the conflict over the status of slavery in Kansas Territory and how the emerging conflict on the Kansas-Missouri border took on a larger national significance. Other essays focus on the transition to total warfare and examine the wartime experiences of the diverse people who populated the region in Making the Border Bleed. Final articles on The Border Reconstructed and Remembered explore the ways in which border residents rebuilt their society after the war and how they remembered it decades later. As this penetrating collection shows, only when Missourians and Kansans embraced a common vision for America—one based on shared agricultural practices, ideas about economic development, and racial equality—could citizens on both sides of the border reconcile. Jonathan Earle is an associate professor at the University of Kansas and the author of Jacksonian Antislavery and the Politics of Free Soil and John Brown’s Raid: A Brief History with Documents. Diane Mutti Burke is an associate professor of history at the University of Missouri-Kansas City and the author of On Slavery’s Border: Missouri’s Small-Slaveholding Households, 1815–1865.